Loyalty points are a standard form of casino bonus that iGaming operators provide to their customers. It has become the norm and today you'll be hard pressed to find a gaming website that doesn't offer casino loyalty points. Casinos that offer such benefits to their customers tend to stay longer in business and they generally have a better understanding with of what the customer base needs are. Another important thing to note is that the more you play at a particular operator, the more advantages you will enjoy. Loyalty points can be redeemed for various cash prizes or cash back and deposit bonuses. As you continue to develop your loyalty, you will notice that some of the costs at a casino are also reduced. Certain operators prefer to allow you to also exchange your loyalty points for various merchandise that is available in their branded shop. How Can You Join a Casino Rewards Program? Joining a casino rewards program is very simple. In most cases, enrolment is automatic and it comes at no cost. From the moment you place your first wager, you are already building your affinity with a certain casino. The longer you spend playing, the more advantages will become immediately available to you. Thanks to the availability of such programs, customers find an extra incentive to stick longer with casinos that offer such programs. Another point to note is that iGaming websites with casino programs usually have been longer in business and their reputation can be inspected in greater detail than newer casinos'. How Often Do You Receive Casino Loyalty Points? In order to build your casino loyalty, you will have to start depositing money and spending them on various games. For each specific amount wagered, you will be rewarded an amount of loyalty points, which can vary between 1, 10 or more depending on the loyalty program you have applied for and the casino you are playing at. Most commonly, though, the rate is fixed to 1 point per a given sum. Similar to bonuses, you'll have to pay attention to which games you are playing. In other words, some games are likely to reward you a higher amount of bonus points per amount wagered. If you play at slots, you are likelier to get 100% loyalty points for your stake. Black Jack and table games in general could generate a smaller percentage of loyalty points, though. As you wager money and amass loyalty points, you can then consider exchanging these points for real cash, which you can again use to make bets. By being part of a loyalty program, you are essentially generating "free money" to use back on bets. What Are the Loyalty Benefits? As you progress further along the levels, you will notice that the available rate of redeeming real money with points improves. Loyalty benefits don't stop with better exchange rates and you can also visit the casinos shop, if one is available and buy various merchandise. Some casinos prefer to offer you real objects that you can purchase. Others, allow you to buy various bonuses or some boosters to give yourself an advantage while playing. It's an interesting concept and one that is well worth exploring. In some cases, you can even book a holiday or win a car, although this requires an impressive number of accumulated loyalty points. Casino clubs help you feel like a member of a dedicated gaming society. Casinos will often host land-based events that can be attended in person and where you can meet other gambling fans, playing many of your favourite games in the process. Before you sign up for any casino's loyalty program, meaning before you even register and deposit, you can always examine what every particular operator offers in the ways of benefits should you choose to play with them. Some casinos come with level progression that is far more accommodating and you need to deposit a smaller amount of money in order to unlock the better levels of the casino promotions. 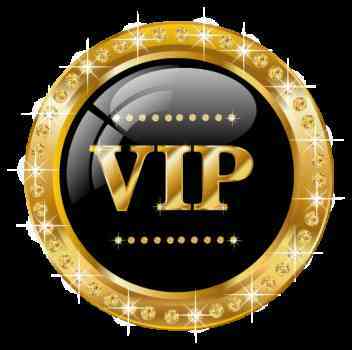 VIP programs and Loyalty programs are considered the two sides of the same coin. A loyalty program simply shows how long you have been playing with a casino whereas a VIP program is somewhat more exclusive. You usually join either when invited by the casino or when you have amassed a certain number of points. In both cases, you can look at the VIP program as a slightly improved loyalty structure. The VIP experience often comes with a private advisor to help you place better bets. There are also exclusive getaways hosted for the casino's most cherished players and should you be part of the VIP program, you will be invited to such meets and greets. Loyalty programs are a great way to earn some extra profit and even extend you stay at a casino. More than that – club membership gives you a reason to game in the long-term and to pick a casino that you can stick and play with over a longer period of time.